Carom is known as the collision followed by a rebound in a billiard game. It is of the best and interesting and fun-filled indoor games which were originated hundreds of years ago. 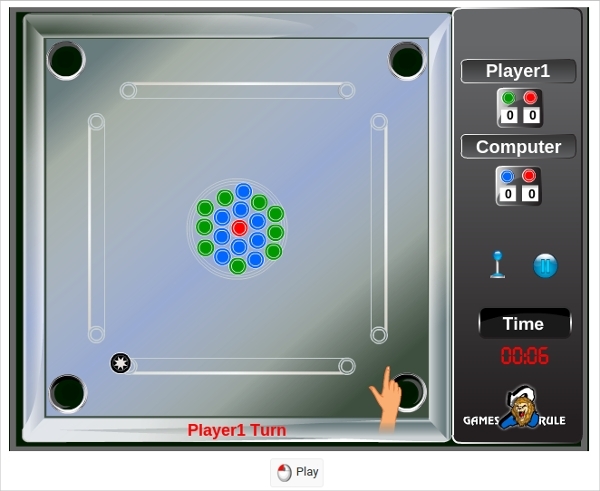 The game replicateS the physics of the carrom precisely. You can try out any zig-zag shots which you actually play in a carrom board. Carrom King game is of one 19 Coin Men AND Queen!! Start by selecting your computer, opponents, or your friends!! Begin the game, and finish to win!! Use your flicker, fingers the coin men across the board, and hit them to the pockets!! Score points with your colored men in the pockets!! You need to win the game and you must take the Queen!! So, enjoy and play the game!! 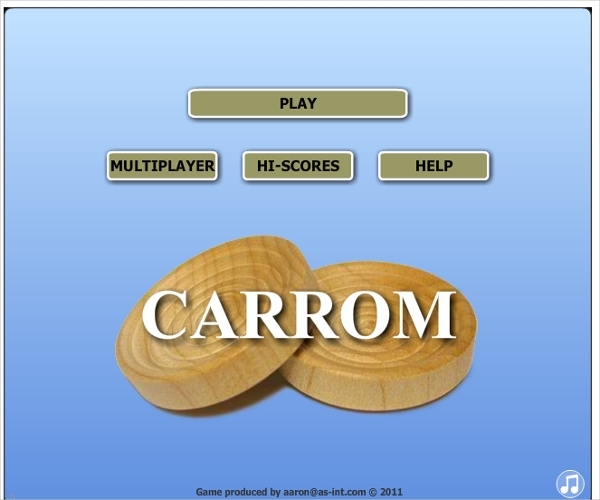 Play carom by being one of the players and try to strike all the coins. You might loose the game if your enemy will strike the coins. 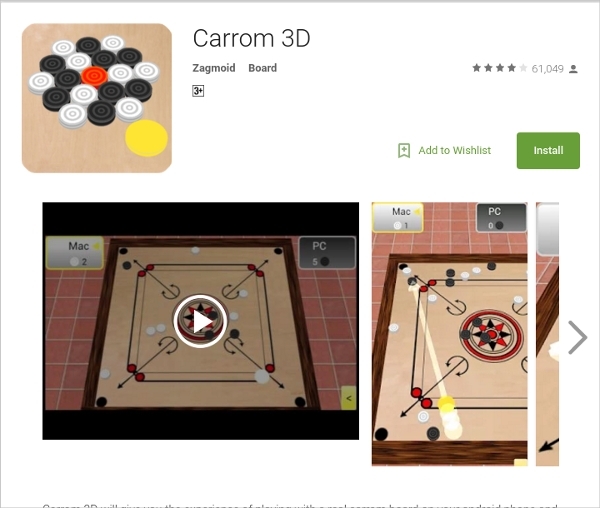 Play this exciting carom game.